This chapter explores the possibilities and limitations of nethnography, an ethnographic approach applied to the study of online interactions, particularly computer-mediated communication. In this chapter, a brief history of ethnography, including its relation to anthropological theories and its key methodological assumptions is addressed. Next, one of the most frequent methodologies applied to Internet settings, that is to treat logfiles as the only or main source of data, is explored, and its consequences are analyzed. In addition, some strategies related to a naturalistic perspective for data analysis are examined. Finally, an example of an ethnographic study, which involves participants of a Weblog, is presented to illustrate the potential for nethnography to enhance the study of CMC. The introduction of computing technology in recent times produced deep changes on communication processes and practices. The first generations of analysts presented a range of positions regarding the study of these new media environments, evidencing very often the limitations of deterministic evaluations of these social facts (e.g. Lévy, 1993; Rheingold, 1993; Turkle, 1995). The concrete uses of these new technological resources created other negotiations regarding meanings and identities. The introduction of the personal computer connected to the worldwide Web brought new ways of dealing with old matters. The interaction protocols and the identity production devices presented by these phenomena demand proper techniques of interpretation. Far from the speculation about the impact of computing technology on human communication, this chapter wishes to present some ways to investigate the social uses of digital environments. In ordinary interaction, face to face or by telephone, people know how to behave in order to sustain or to cause a certain impression among their acquaintances. Even if there are no formally codified rules, there are tacit methods (Garfinkel, 1967) that allow ordinary members of society to expect some specific responses during social situations. Computer-mediated communication (CMC), as a novel medium, demands from its participants a certain degree of improvisation when facing unexpected or new situations. In these cases, patterns of conduct taken from other contexts are adapted, in order to create new tacit rules for behavior within these settings. As these new social environments demand improvisation and adaptation from the participants to deal with unexpected situations, it is argued that it also demands from the analyst a combination or adaptation of methods originally designed to investigate different contexts, in order to fully grasp the specificity of CMC. The study of social behavior on Internet environments presents a great methodological challenge. A first remark on method refers to the historical period in which the research takes place. These forms of interaction are recent phenomena, and they depart from individual and group strategies not inherited, but acquired through the use and adaptation of already-existing rules, taken from other relational contexts. Such strategies are applied on a case-by-case basis, according to situational demands, prior to an explicit formal or even tacit codification. These rules-in-the-making will consolidate later, as online cultural activities go on. Thus, the aim of this chapter is to present a methodological perspective through which social interaction in online environments can be studied naturalistically, that is, focusing mainly on the observation of naturally occurring phenomena. In order to explore the possibilities and limitations of an ethnographic approach applied to the study of online interaction, a brief history of ethnography will first be addressed, including its relation with anthropological theories, and its key methodological assumptions. Next, one of the most frequent methodologies applied to Internet settings is discussed, that is to treat logfiles as the only or main source of data, and some of its consequences are analyzed. In addition, some strategies related to a naturalistic perspective for data analysis are examined. Finally, an example of an ethnographic study is presented which involves participants of a Weblog to illustrate the potential for nethnography to enhance the study of CMC. Ethnography: Research technique used traditionally in Anthropology, in which long term permanence of the researcher in the field and systematic description of social situations provides data for analyzing the culture of a given group or society. Fieldwork: Ethnographic activity held in a given period and place in which the researcher collects data through direct contact with the group being studied. Weblog: Also known as blog, is a Web page in which the author(s) publish constantly updated contents. Entries are written in chronological order and commonly displayed in reverse chronological order, in the form of posts, usually describing personal experiences. A typical Weblog combines text, images, links to other Weblogs, Web pages and other media, and provides means of interaction with readers, using e-mail, guestbook or comments linked to single posts. 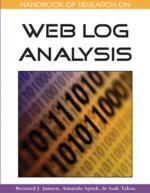 Logfile: log kept by a Web server regarding registers left on a Website. Blogger: Person who creates and maintains a Weblog. Interactional: (in the field of Social Sciences) related to or proper of the social interaction. Ethnomethodology: Term coined by Harold Garfinkel in the 1960s, that refers to a branch of Sociology that examines the ways in which people make sense of their world, share their understandings and produce collectively the social order in which they live. Naturalistic Perspective: Empiricist approach of the Social Sciences based on the premise of collecting data essentially from “natural” situations, those that happen despite the presence or participation of the researcher. Computer-Mediated Communication (CMC): Communications that occur via computer-mediated formats (i.e., Weblogs, instant messages, e-mails, chat rooms) between two or more individuals. Online Interaction: Social interaction held by co-participants of a digital environment. Social Interaction: Mutual action and/or influence among co-participants of the same social situation. Participant Observation: Research strategies based on a close and intimate familiarity with a group and its practices in their natural environment, usually over an extended period of time. Nethnography: Ethnographic research concerning digital environments. Blog-Circuit: Communicational circuit established among participants of different social networking sites, accomplished through links exchange and reciprocal visits. Research Setting: Social situations in which an ethnographer develops his/her fieldwork. Digital Environment: Social setting produced through computer technology. Fieldwork Diary: Research technique in which the ethnographer take systematic notes describing fieldwork situations.